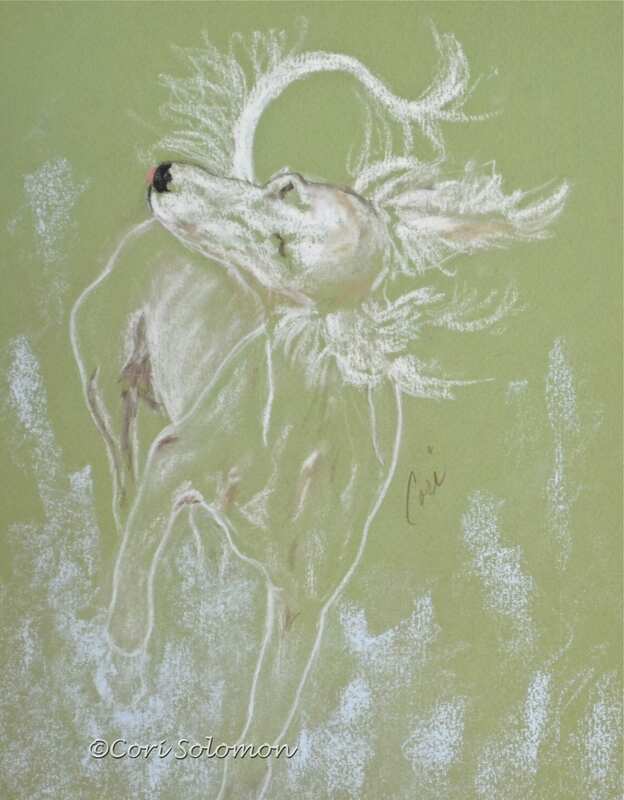 Created in a gestural style this pastel drawing uses lines to delineate the body and movement. 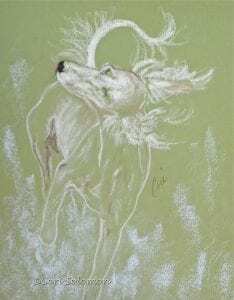 This is a very playful drawing of a Saluki. To purchase this Saluki drawing email Cori.